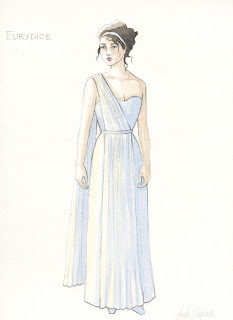 Though she's a familiar face at Seattle Opera, Heidi Zamora is actually making her debut as Costume Designer with our upcoming production of Orphée et Eurydice. 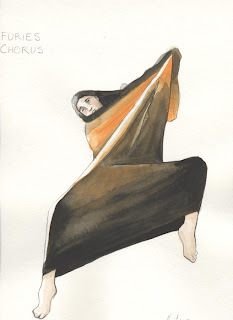 We spoke with Heidi about working in the Costume Shop, about sources of inspiration for this exciting new production, and about what the ancient myth of Orpheus means to her. You’ve worked in our Costume Shop for quite some time, but this is your first proper credit as Costume Designer for Seattle Opera. Can you explain what your role in the Shop has been prior to this? My official title is Assistant Costume Shop Manager, but one of the big parts of that job is I act as Design Coordinator for the shows that we rent or remount. If we have a set of costumes in our stock and we’re going to remount that production and the original designer isn't coming to Seattle to oversee everything, then I’ll be the de facto designer. I’ll be the one in the fittings, choosing new buttons, telling the Shop that the hem should be higher or lower, and a lot of times there are costumes that need to be redesigned because they don’t fit the new director’s vision of what the show is. Or, sometimes our principal costumes don’t fit our new singers so, since we need to make new costumes anyway, we’ll design something new. I do a lot of ghost designing and redesigning around here. What are some recent examples of costumes you’ve worked on? 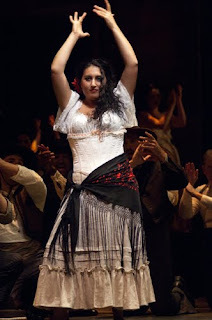 The last show I worked on here was Carmen, with costumes originally designed by James Schuette back in 2004. 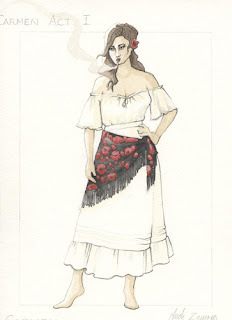 This time around we had new singers and a new director so I designed all of Carmen’s new costumes, except for her last look which was the original look James Schuette designed. 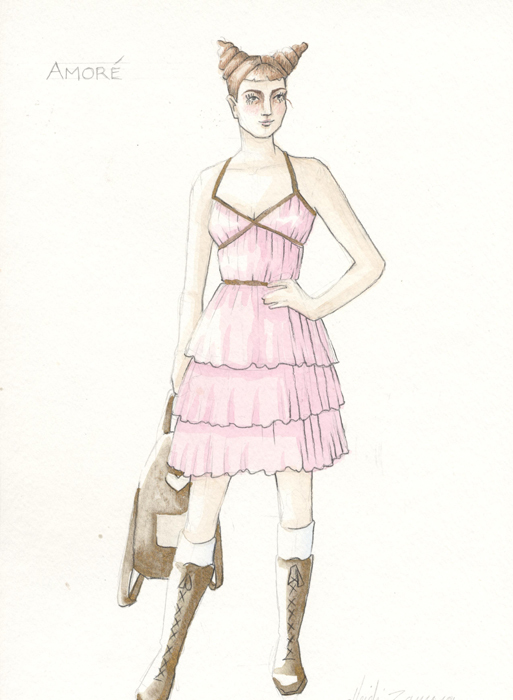 I also designed a new Micaëla dress and the Cigarette Girls’ costumes. We're excited to see your name in the Orphée et Eurydice program book! What has the costume design process for this production been like for you? It’s been a long process—we’ve been working on it for over a year. I started by listening to the opera and reading the libretto. There was also a production of Orphée that our director, Jose Maria Condemi, directed at West Bay Opera, so I watched a video of that production to see where he was coming from. 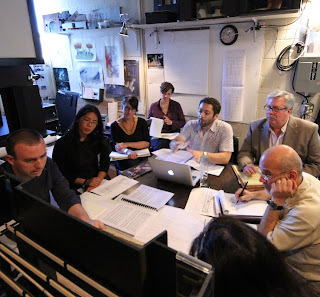 Then when he came to town, we met along with set designer Phillip Lienau and lighting designer Connie Yun, and shared images of stuff that inspired us or felt like the piece. Then there were several more rounds of research and sketches, until it was finally time for me to purchase fabrics and decide which costumes we were actually going to build ourselves and which could be shopped [purchased off the rack]. Where did you get the inspiration for your final looks? All over the place. 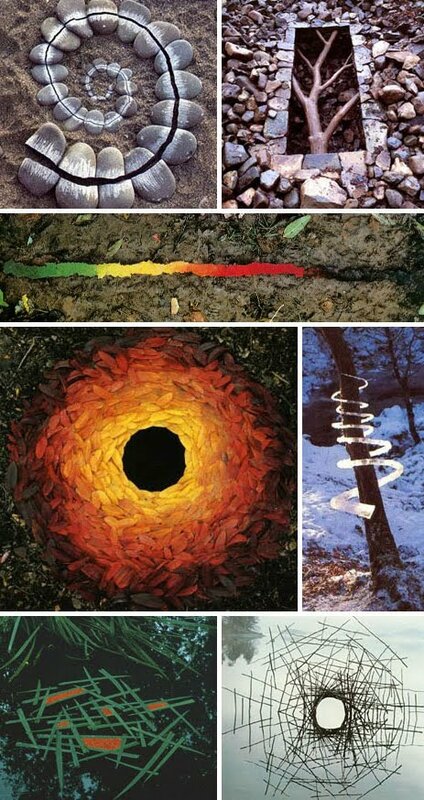 We wanted a production that felt earthy and natural, so when we were thinking of scenery, we looked at the artist Andy Goldsworthy, who does a lot of installation of natural elements in an ordered fashion. For example, he’ll take rocks and stack them or arrange sticks in a spiral shape. That partially inspired the direction the costumes were going in, too. I also looked at a lot of fashion research for inspiration. I looked at a lot of Greek and neoclassical fashion, and a lot of modern clothes that felt Greek or neoclassical in how they were draped. 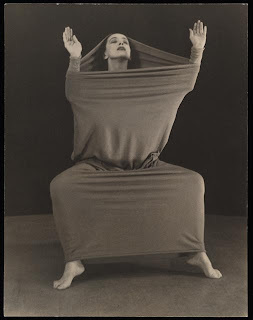 And the inspiration for the Furies costumes came from modern dancer Martha Graham, who did a pretty famous dance inside a stretchy tube of fabric. Image of Martha Graham's "Lamentation"
The whole idea was that the chorus should be enclosed in a cocoon shape, originally inspired by the ruins of Pompeii, where people have been encased in ash for thousands of years. That felt like Hades to us, and that went through a number of iterations before we landed where we did. 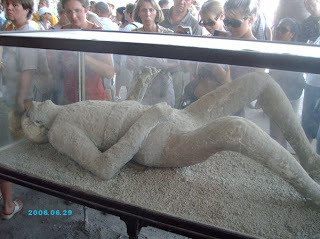 You don’t really see that Pompeii inspiration in what we ended up with, but that’s very much where it started. Do you have a favorite costume in this production? I think I do. I like the Furies a lot because I think it will be really striking on stage, but I think my favorite costume is Eurydice’s because it’s very simple. Davinia Rodríguez is a beautiful girl, very easy to dress, and the design is clean, simple, and very balanced. When you do things that are simple, it’s hard to get it perfect because all the little details really show that much more. But I think it looks like an Oscar dress, and it looks great on her. The ice blue color is going to look amazing on stage, and it was such a hard color to find. Everything was either bright blue or gray; it took weeks to find the right color. Where do you shop for fabrics? Sometimes, on a larger show, Costume Shop Manager Susan Davis and the costume designer will take a trip to New York. Other times we’ll hire a swatcher in New York, which is what we did this time. I’ll tell them what kinds of fabrics I’m looking for, and they’ll go around New York and fill bags of fabric swatches and send them to me. I select the ones I want and the fabric store—Mood or New York Elegant, for example—will send what we need. That’s a long way to go for fabric! Well, people don’t make clothes like they used to! Local fabric stores tend to gear toward quilters and though they have some fabrics from dressmaking, it’s not like it is in New York, which has Broadway and film and a dressmaking industry that exists in a way it doesn’t here. There are some stores in L.A. that are great, too, and sometimes we swatch there. But there are a lot of supplies the Costume Shop needs that aren’t available in Seattle. Like buttons! You might think we can just go to the fabric store here and get whatever buttons we need, and sometimes we do, but a lot of time it’s not the right button. You need the perfect button. Costume design by Heidi Zamora for Amour. What are some considerations you need to take into account when designing specifically for singers, as opposed to non-singing actors? Well, they need to be able to breathe—which seems like a simple request, you would think, because actors need to breathe, too. But singers breathe differently and they breathe differently from each other. Some do so from their chest, some from down low, so they need to have the appropriate movement in their costumes. Some singers really like to wear a corset because that supports their breath, and some people can’t. So we really need to account for that and make sure they’re comfortable so they can do their best work. Since you’ve had to examine this opera so closely, what would you say its story means to you? Obviously, it’s about love and loss. Being a new mom and being relatively recently married, my little family is such a huge part of me now, so the idea of losing my husband or losing my son is unimaginable. I think about it briefly and I feel like I get punched in the stomach. That feeling, to me, is what Orphée is going through. He’ll do anything to have his wife back, and I totally understand that. And I think anybody would understand that. I think people will start crying in Act 1, if William Burden is doing his job—and he will. He will break your heart; he just has such a beautiful, warm voice. But in the end of this version, Orphée is reunited with Eurydice, which is great. 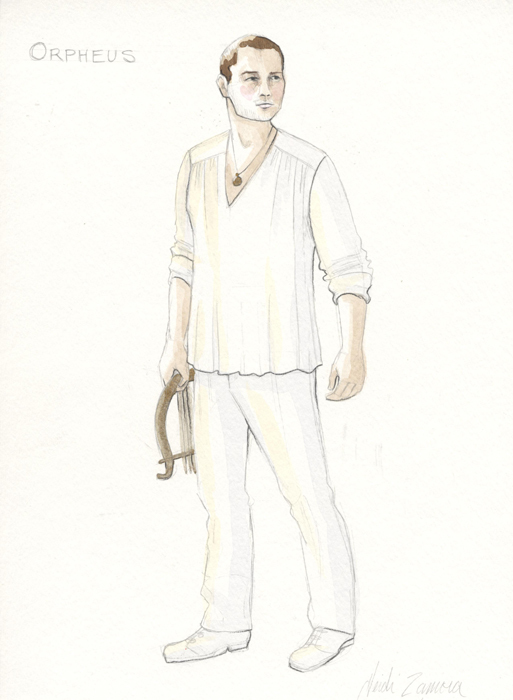 Costume design by Heidi Zamora for Orphée.